Economy is the hallmark of good lighting. Using only as much light as we need (and not more) and illuminating only as much area as we need (and not more) are sufficient to provide the safety, security, and utility we seek from exterior lighting. This measured approach is the antidote to light pollution. Shielding is the key element of night-sky-friendly lighting. And fully shielded fixtures, also known as "full-cutoff lights," are the gold standard. The design of a fully shielded fixture is simple: the light source is flush with or recessed from the bottom of the fixture, and the top and sides of the fixture are opaque. 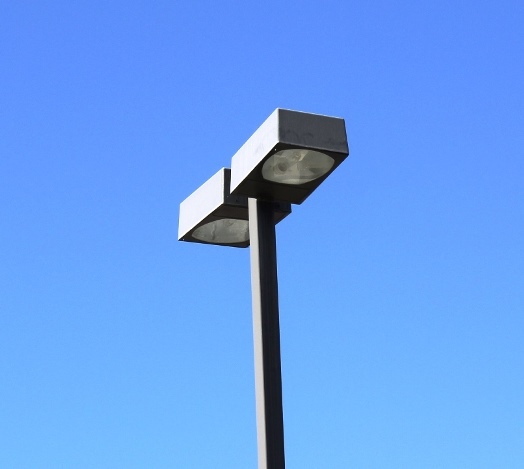 This ensures that the fixture lights up the ground only, no stray light escapes upward or outward, and passersby are not blinded by the glare from an exposed bulb. Fully shielded fixtures light up the ground only. Be an educated consumer. Use the following checklist when contemplating a new fixture or a retrofit for your home or workplace. Each time you answer "Yes" to a question, you'll be on your way to making lighting choices that are both energy efficient and night sky friendly. ♦ Necessity - Is a fixture really needed in that location? 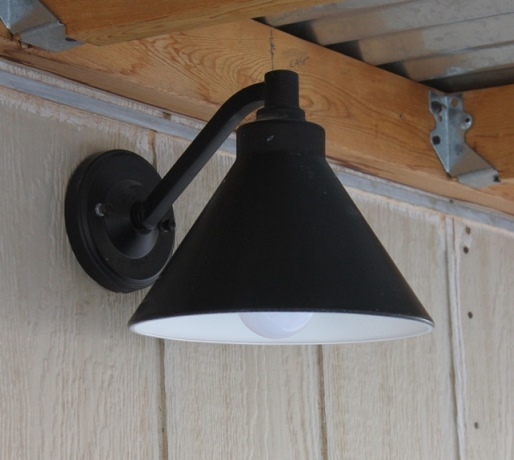 ♦ Shielding - Is the bulb recessed so it does not hang down below the bottom of the fixture? Is light directed downward only and not emitted upward or visible through the sides of the fixture? When installed, will the fixture be aimed at the ground? ♦ Timing - Can the fixture be put on a timer or motion sensor so it is not on all the time? ♦ Brightness - Can the fixture be dimmed? Can a bulb with fewer lumens (less bright) be substituted if the bulb provided is too bright for your application? Will the fixture provide only the level of illumination needed for your purpose, and no more? ♦ Color - Does the bulb produce a warm color temperature of 3000 Kelvin (3000K) or less? Is the bulb low-pressure sodium, high-pressure sodium, warm-white LED, or soft-white LED?